I did a lot of thing today. I report today's events one by one. 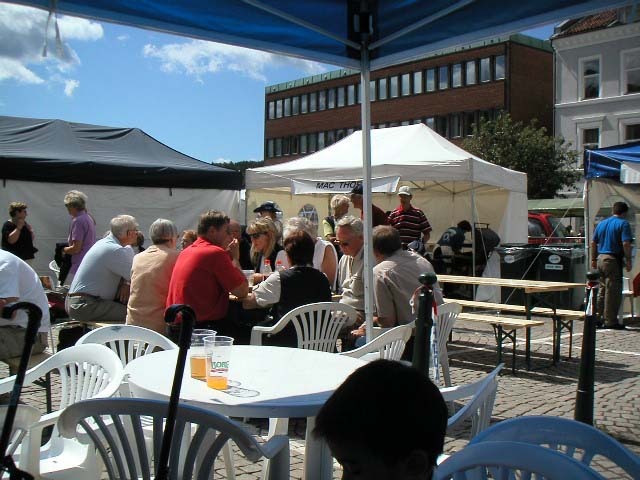 In Halden, Food and Wooden Festival is held from 28th to 30th of June. Today is the second day. 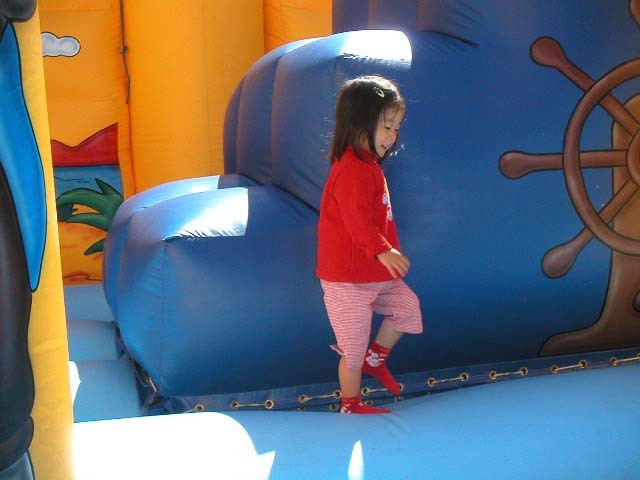 We went to the festival in the morning. The park where is usually quiet is like this. It is a little bit difficult to see in the picture, but there is a band playing music in the right building. 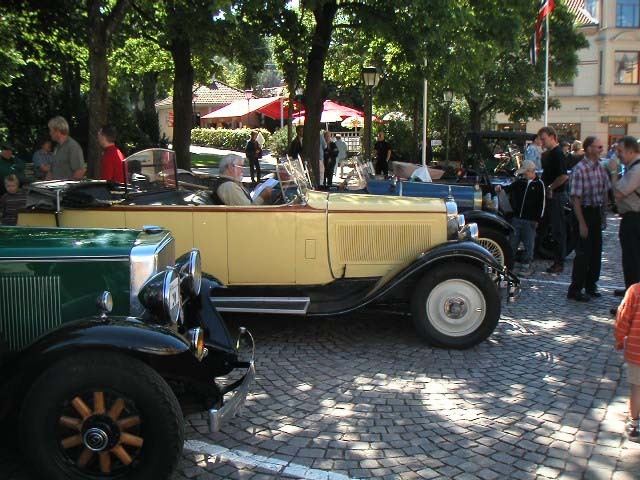 Next to the park, classic cars are displayed. 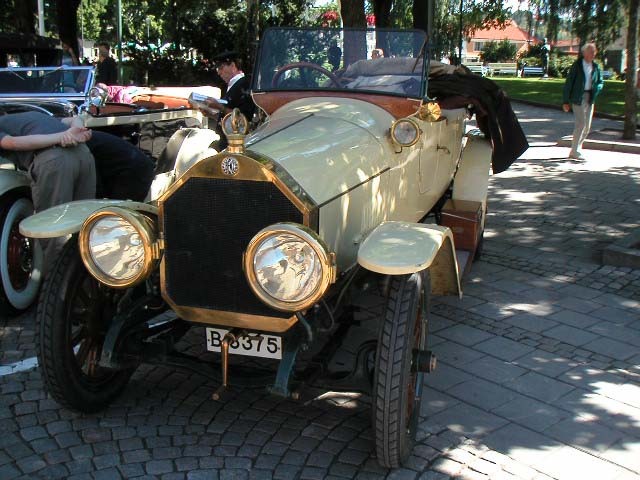 There are more than 10 classic cars totally. 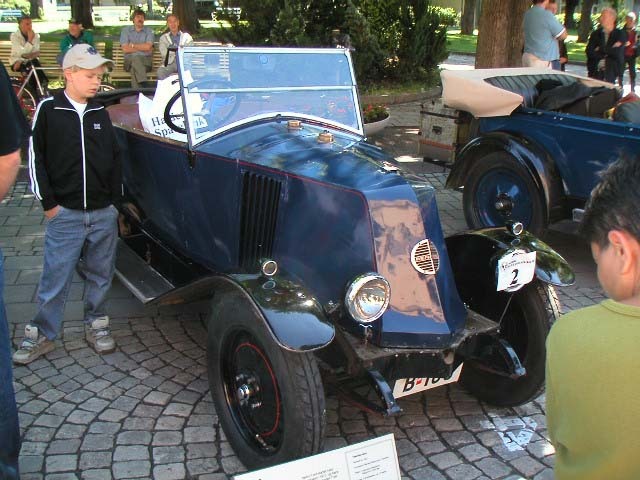 This is an old Renault? This is Mercedes? The steering wheel is made of wood. 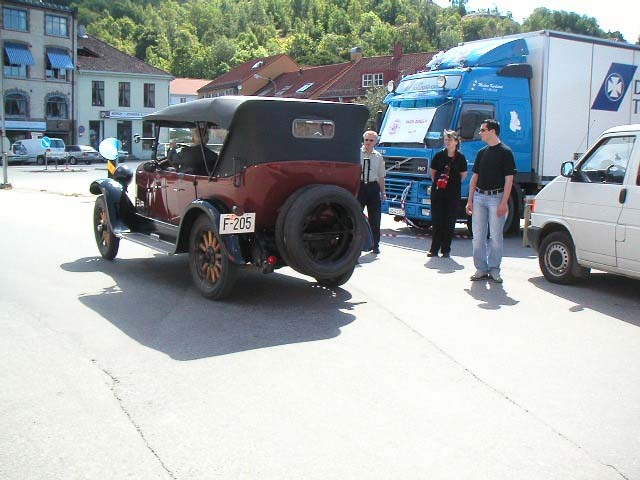 In addition, classic cars drove in town today. 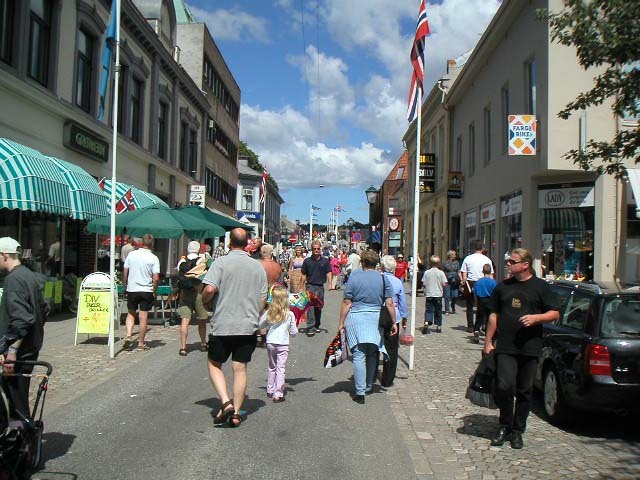 Today, it is crowded in Stordata (Main Street), where it is usually quiet. 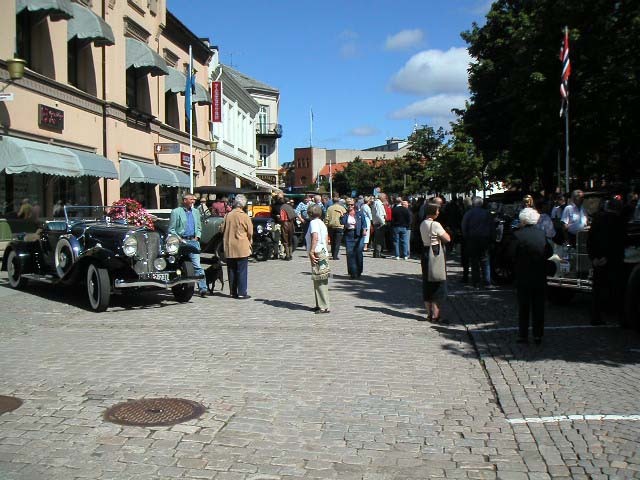 All the people in Halden seems to gather here. In front of an electrical store, this was demonstrated. 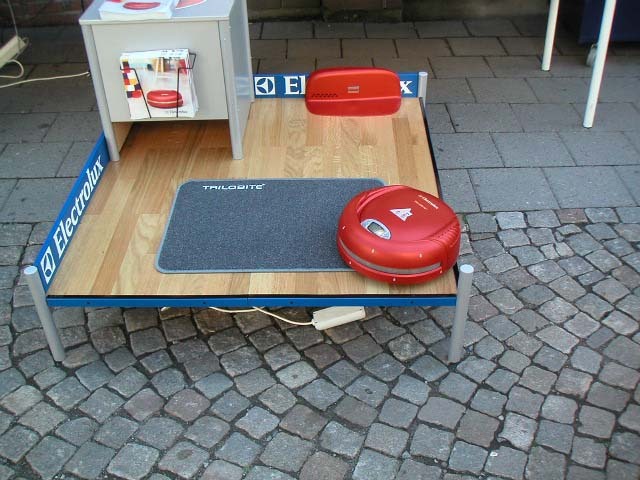 It is a autonomous running vacuum cleaner. It charges at upper right station and run around rooms to clean by itself. The movement is funny. It is made by Electrolux company. 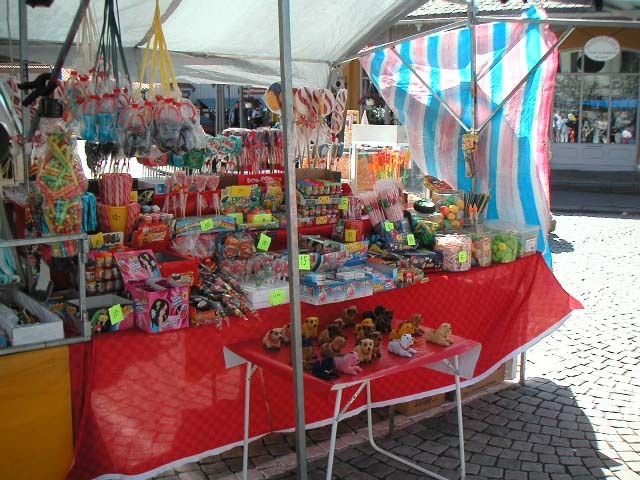 There are various stands in the town square. 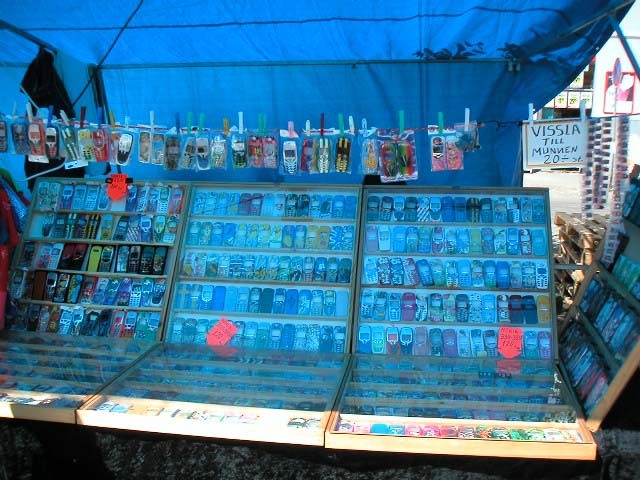 There is a shop which sells mobile phone cover. The outside of mobile phone by NOKIA and SIEMENS can be easily exchanged. 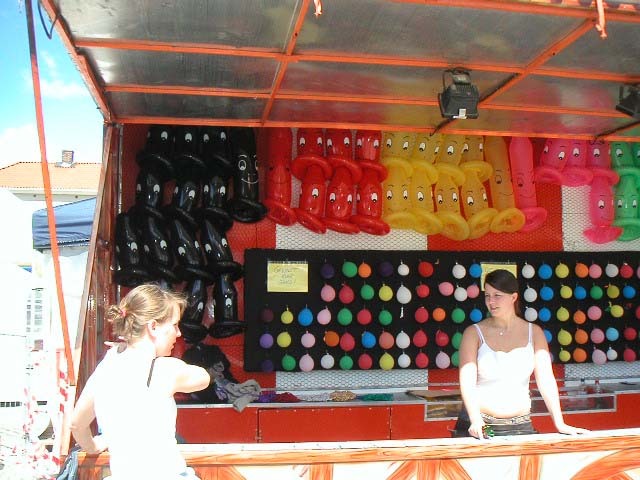 There is a stand like this. If you drop balloons by throwing some balls, you can get a hat above. But, the shape is not cool (laugh). 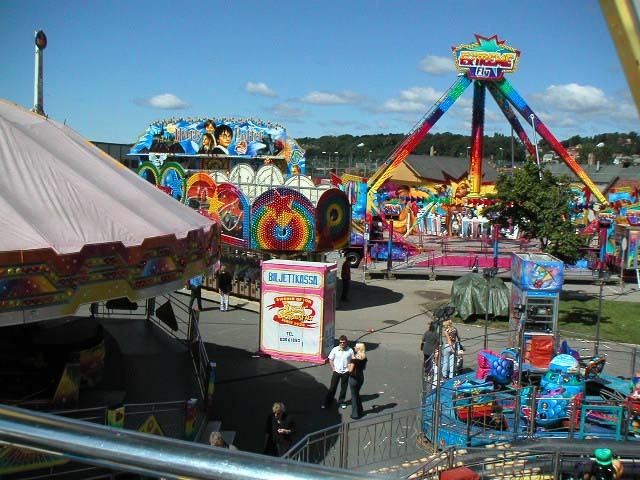 Various stands appear in the square. 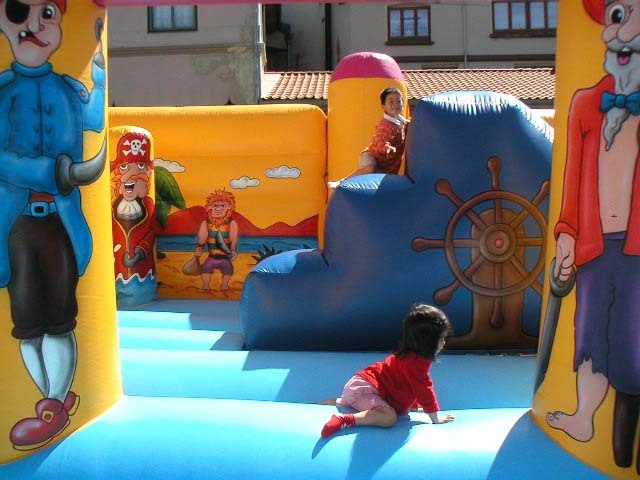 You can see children's playing place of balloon over there. It imitates Viking ship. 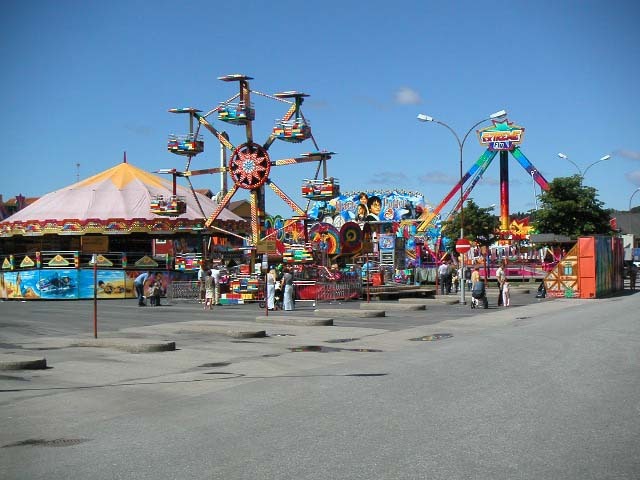 In addition, an amusement park appear at the space of bus terminal! 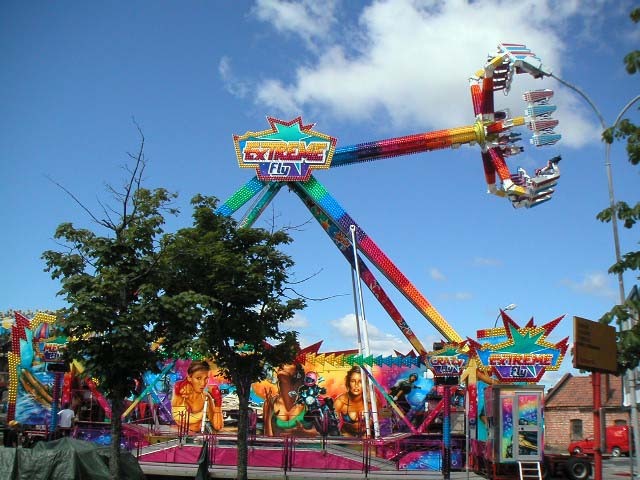 It seems mobile amusement park. 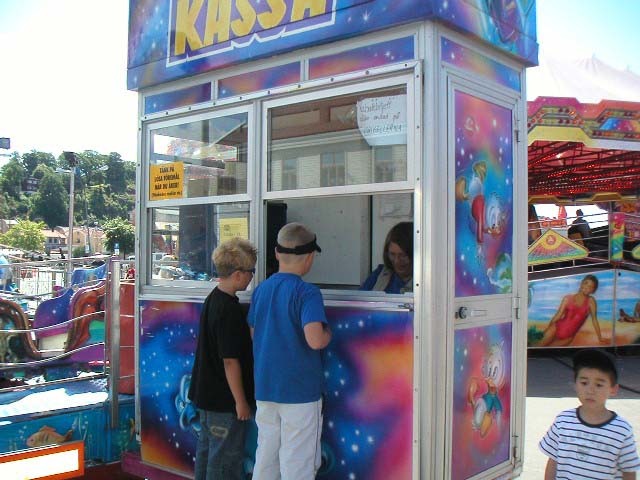 First, buy tickets at ticket booth. It costs 120Kr. for 6 tickets. One attraction needs one ticket. 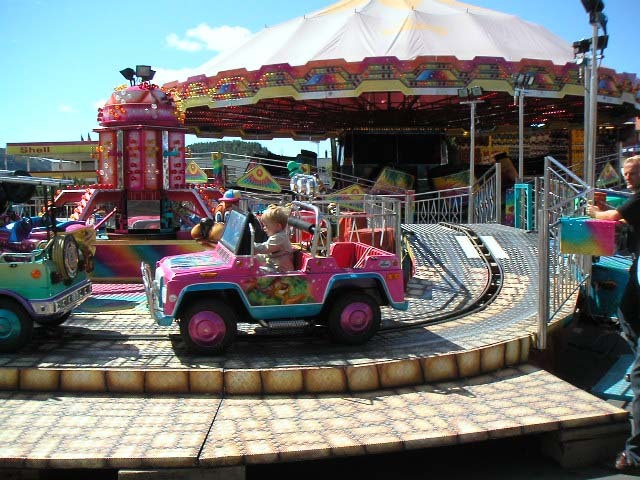 There is a kid's car. This picture is taken on the top of a Ferris wheel. 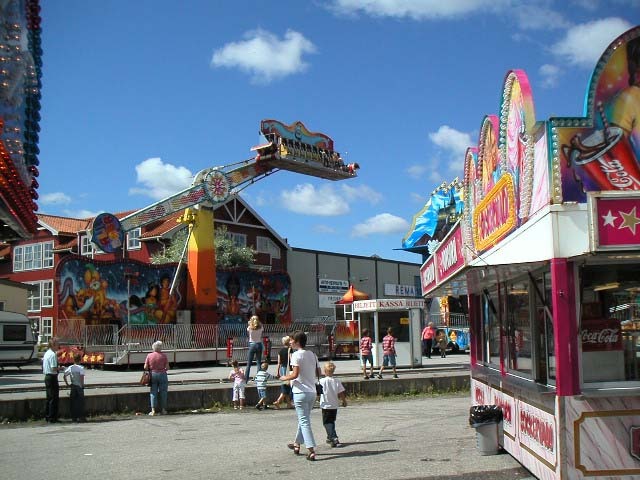 There are various attractions. There is a scream machine like this. 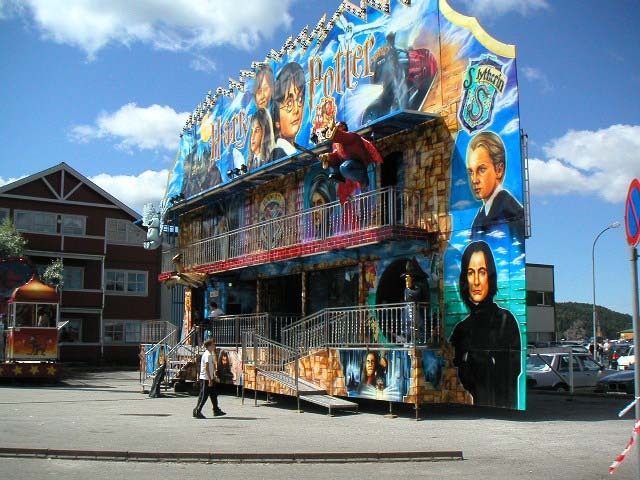 This is an attraction of Harry Potter. It is so big. But the back is like this. 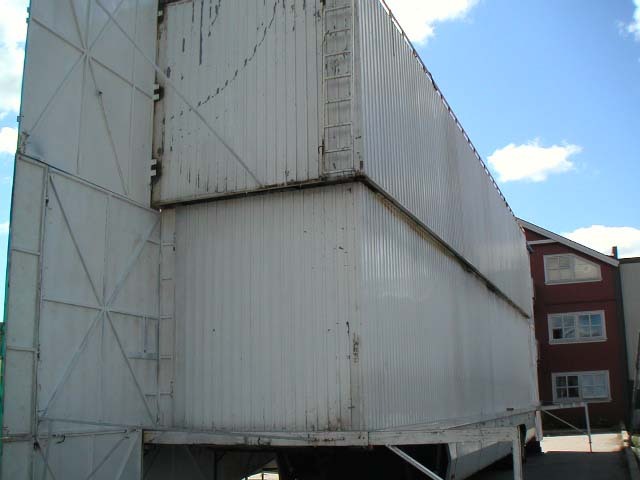 It is mobile, so that it should be trailed by trailers. Oh dear? It looks interesting. DD is a scream machine maniac. 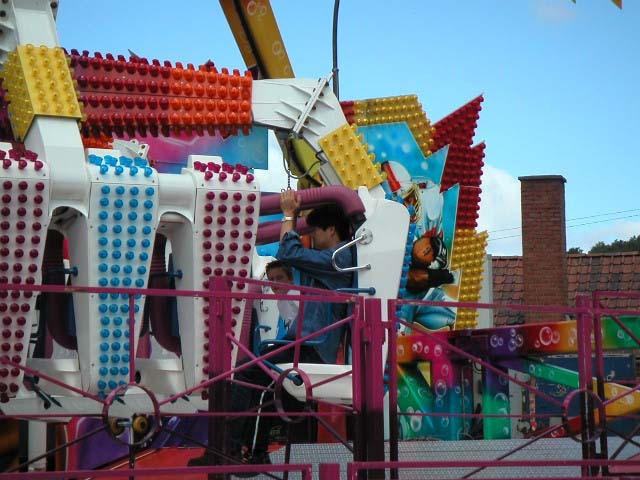 DD loves a scream machine. I get on the machine. The people getting on with me are all junior high or high school boys (laugh). Oh my gosh! 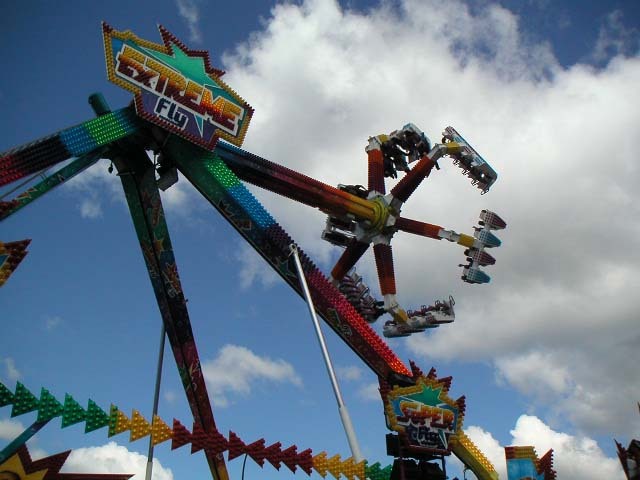 You should never despise mobile amusement park. It scares much more than I expected. In addition, the operating time is long. I don't need so much service. After that, I feel hungry, so we have lunch. 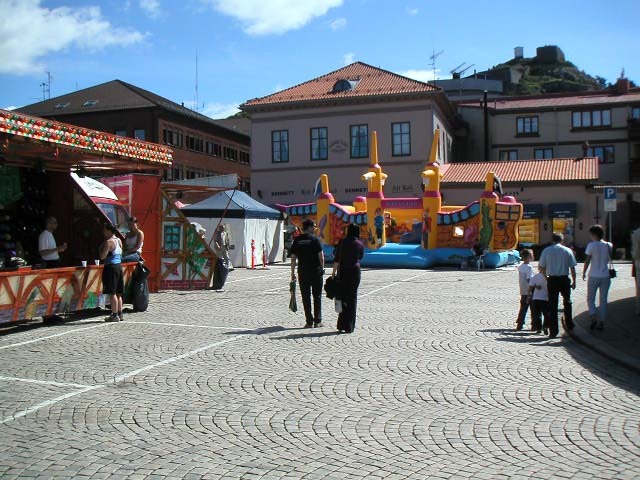 Here is a food court set in the square. 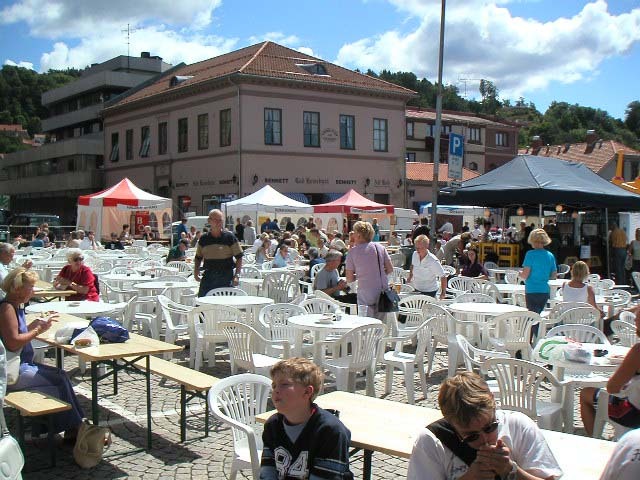 There are lots of tables and chairs surrounded by food stands. 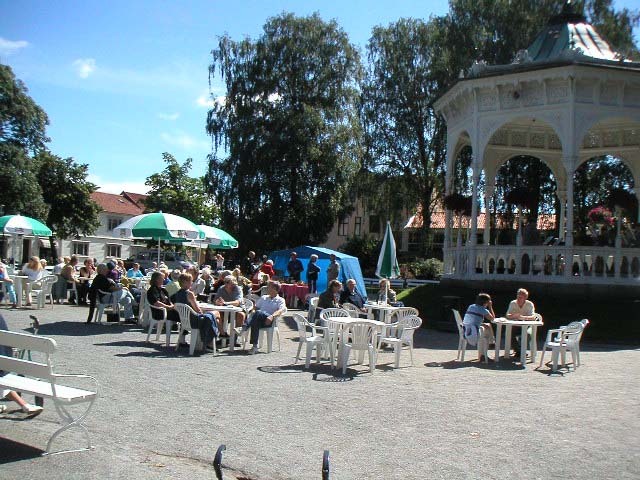 These stands are set up by restaurants in Halden. First, you have to buy a ticket like this. It has three food tickets. 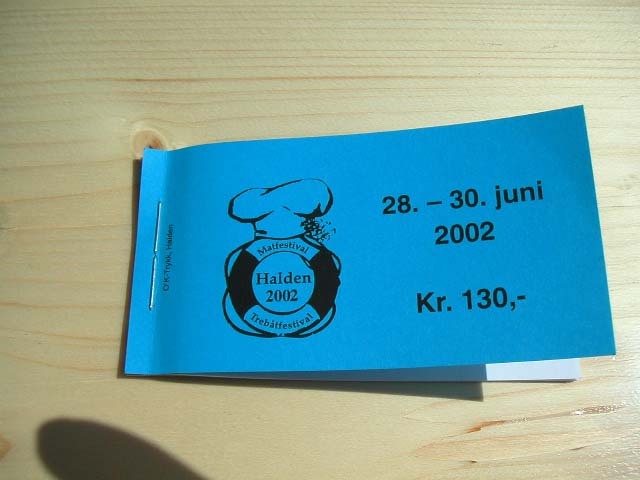 Each stand serves one lunch menu, and you can buy it by this food ticket. With full stomach, we left the festival. If it fine tomorrow, we go again. 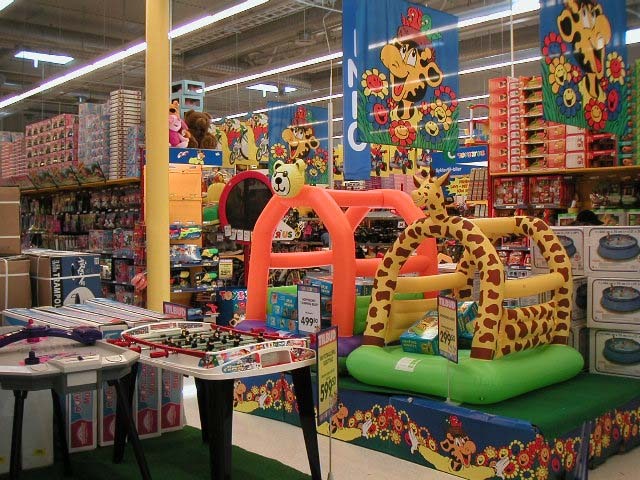 We went to Toysrus after the festival. Toysrus who aims at world hegemony has stores in Norway, of course. 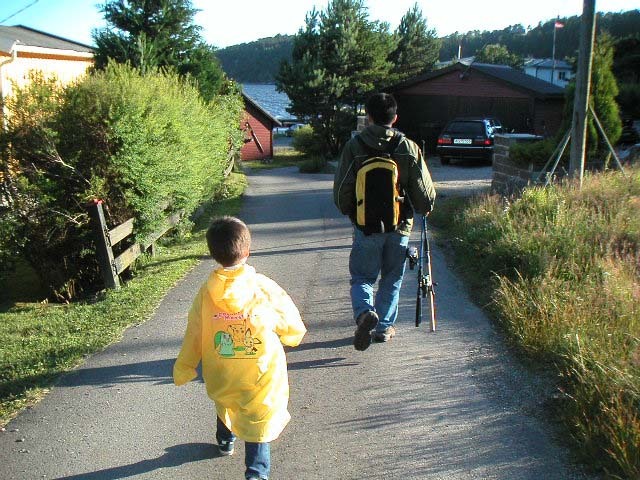 The nearest Toysrus store is 20km north from Halden. The building is the same among every country. 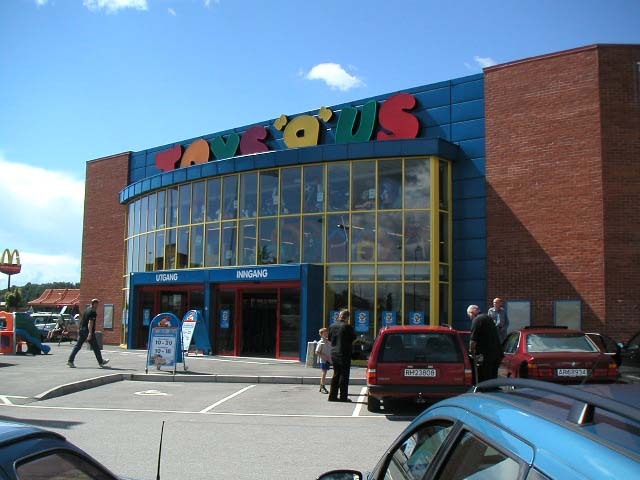 But, Toysrus in Norway is closed on Sundays. Inside is also the same as Japan. 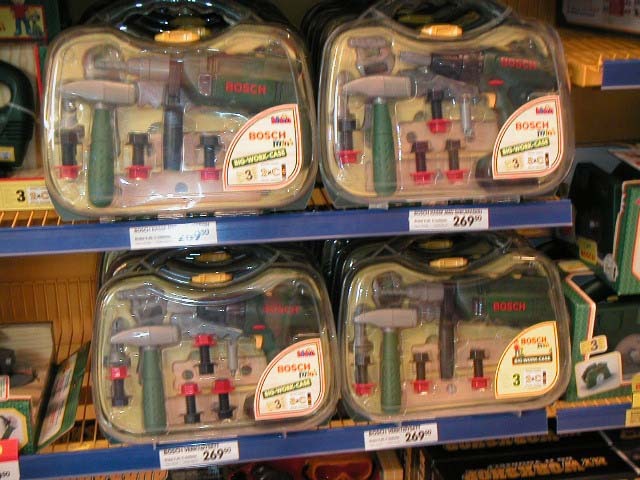 There are toys of BOSCH tools! Observing carefully, the upper left electric equipment is an impact drill. Admirable BOSCH! 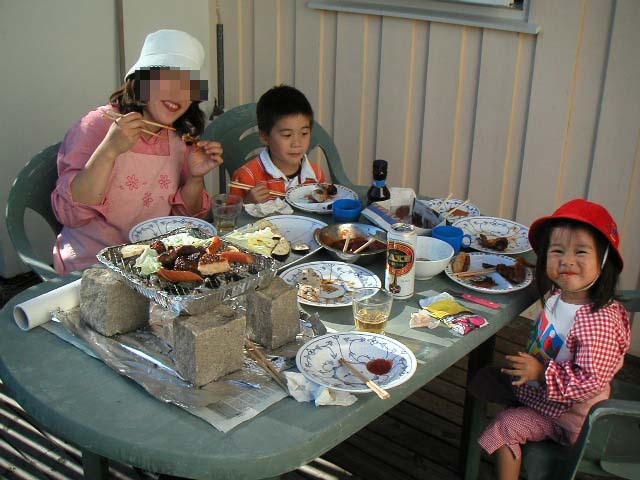 It was fine today, so the supper was barbecue in my garden. I had bought a disposable mini-grill. It was quite cheap, 12Kr. (200 Yen). The square shape stone was borrowed forever from near construction site without permission (laugh). The picture has a part of mosaic by her request. After supper, a neighbor living next to me asked us to go fishing. 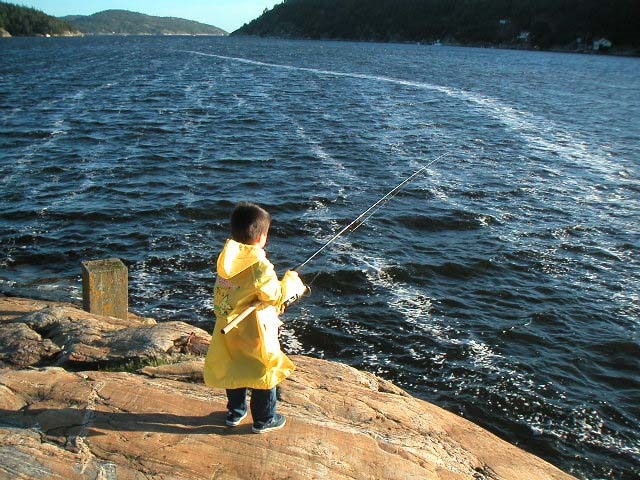 The fishing place would be the seaside of Sponvika close to the border between Norway and Sweden. It is close to the place of strawberry picking. I decided to go with my son who has wanted to go fishing. They are my son and the neighbor. Three minutes walk takes the fishing place from parking place. 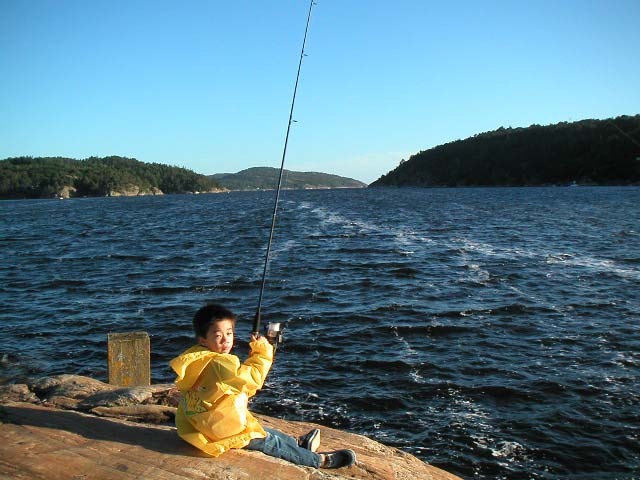 This is his first time to fish. Say cheese! His pose looks a fledged fisherman. 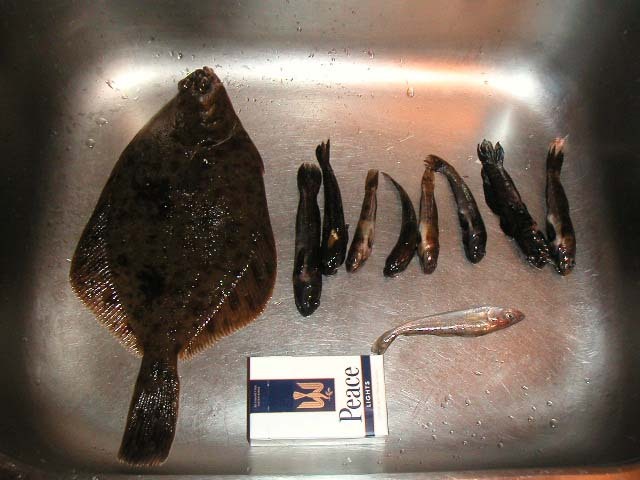 This is today's result, one flatfish and nine small fish. The fishing time was a little less than two hours. I fished seven small fish. The big flatfish was fished by the neighbor.